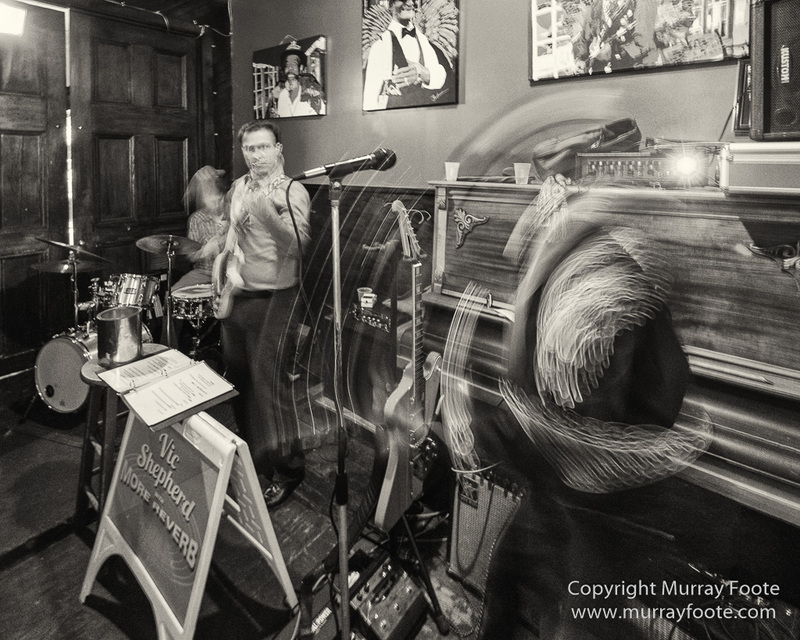 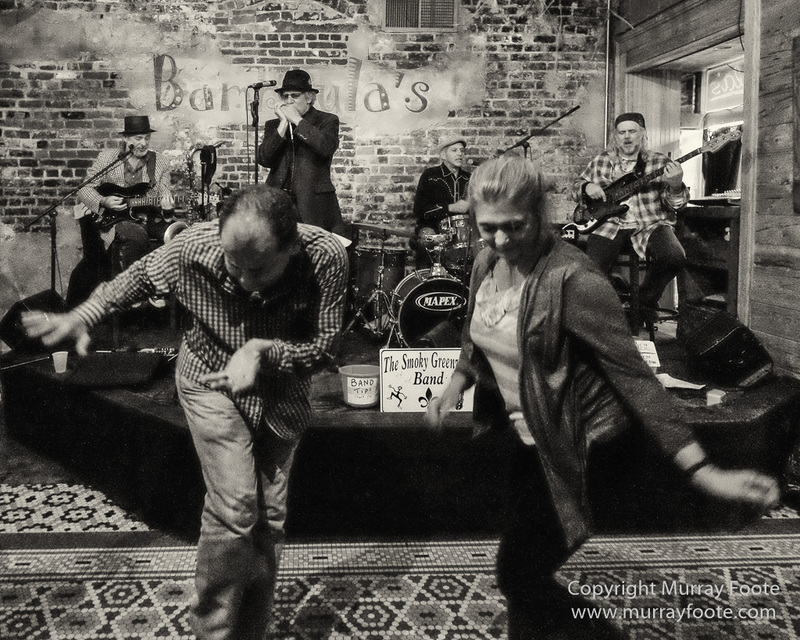 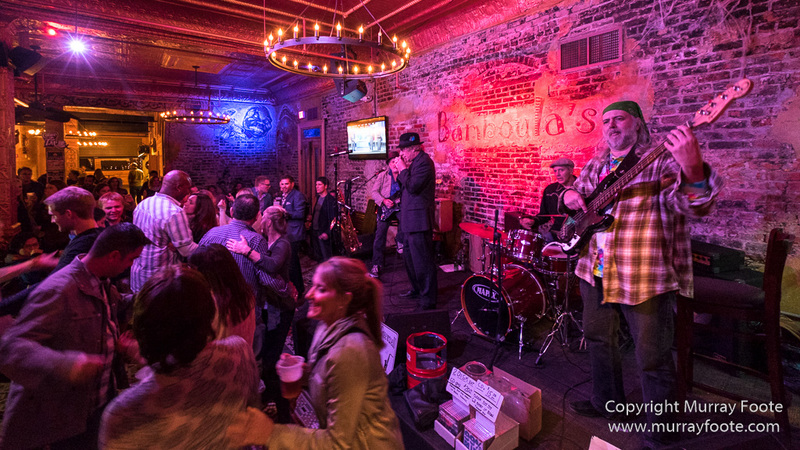 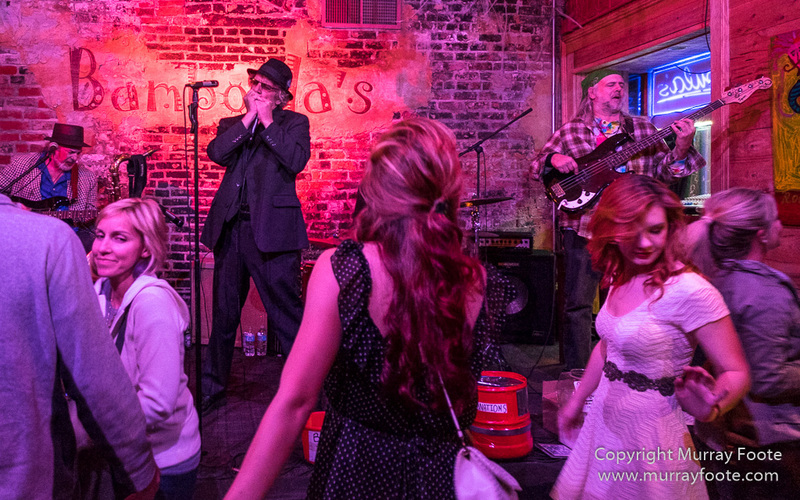 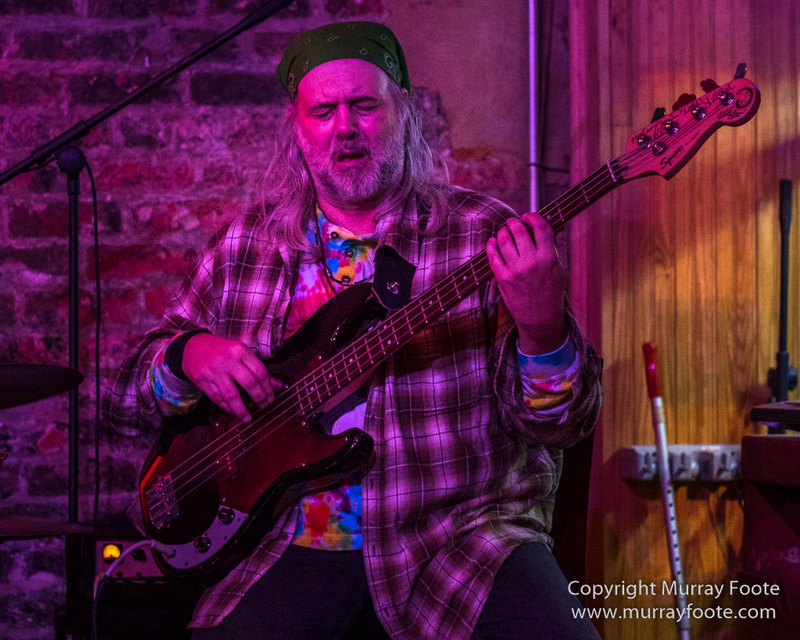 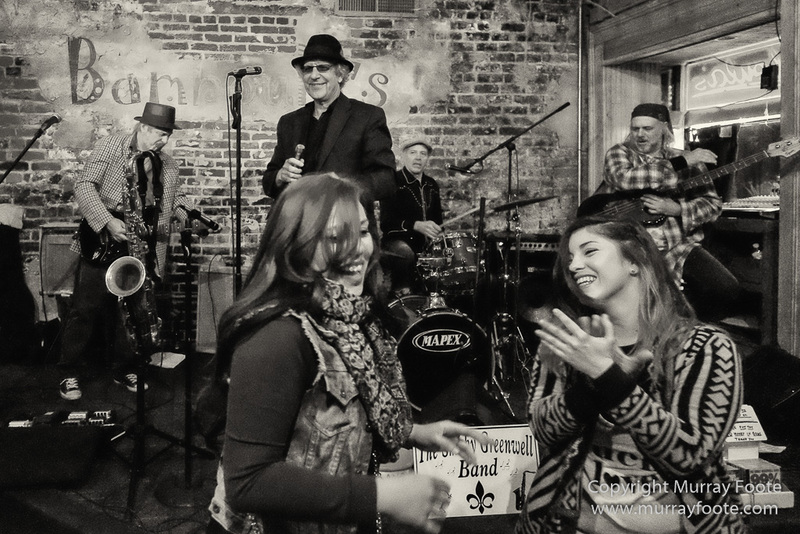 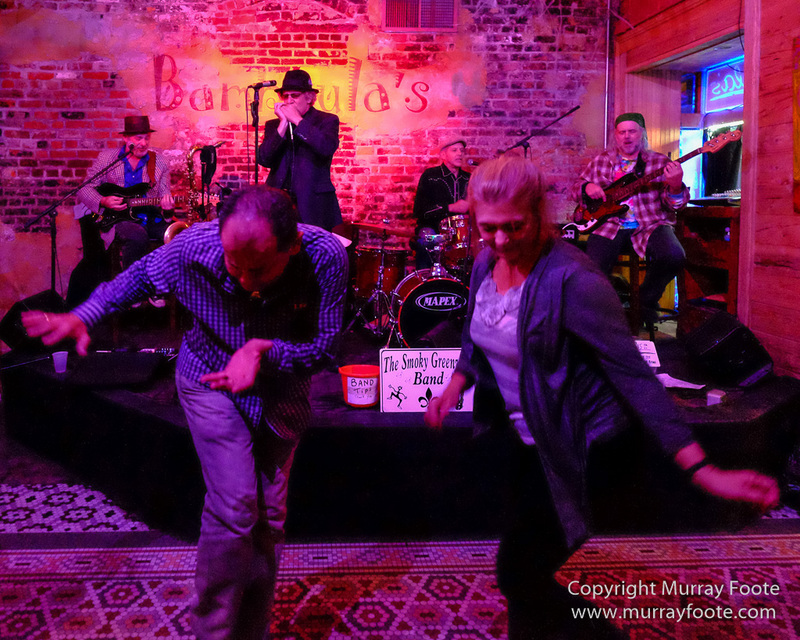 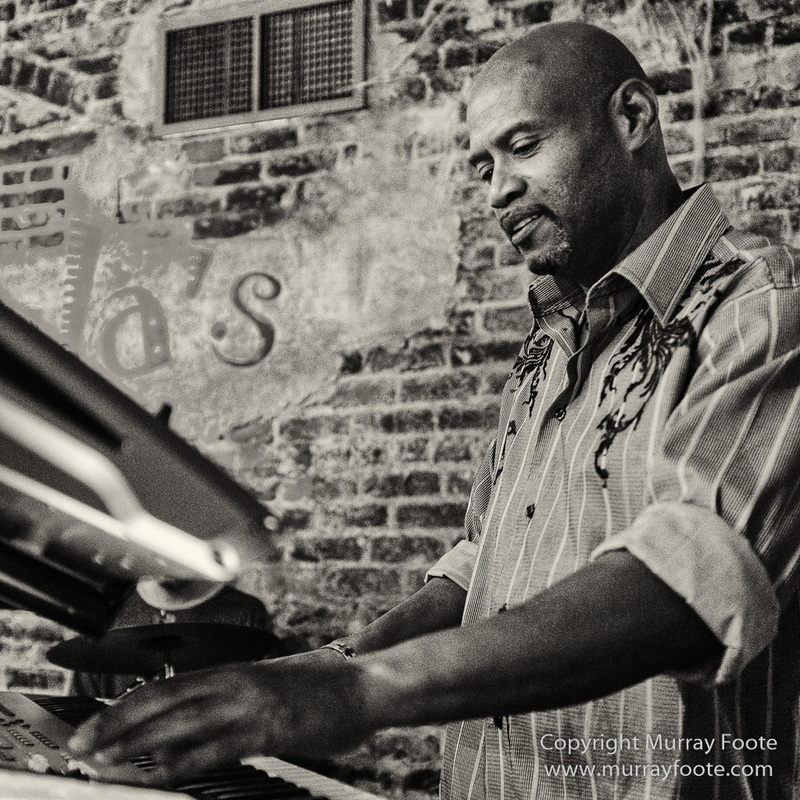 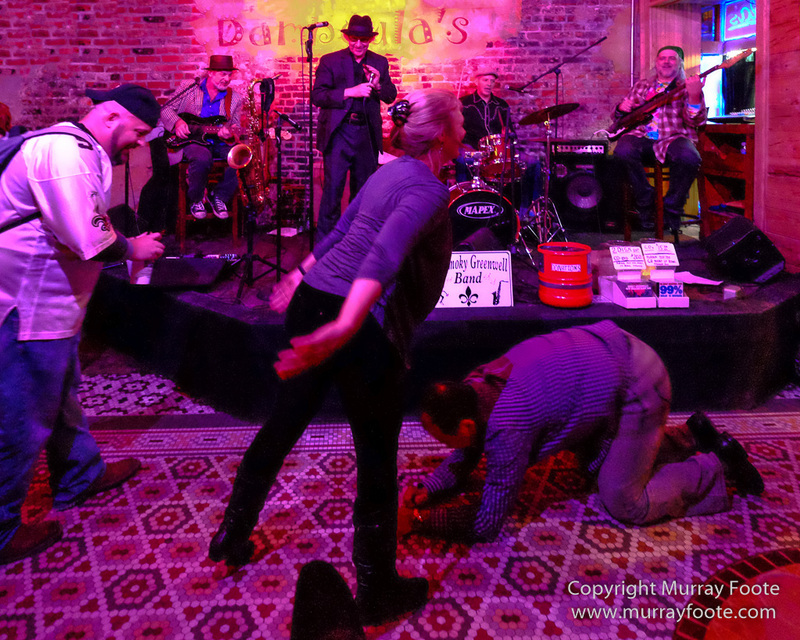 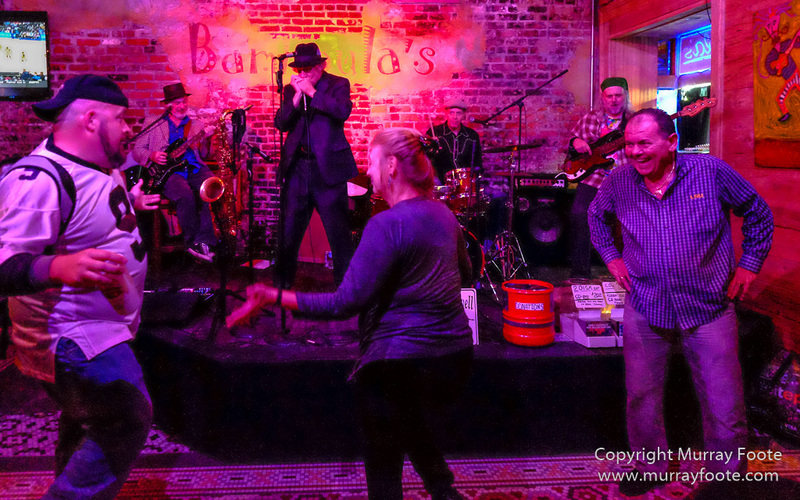 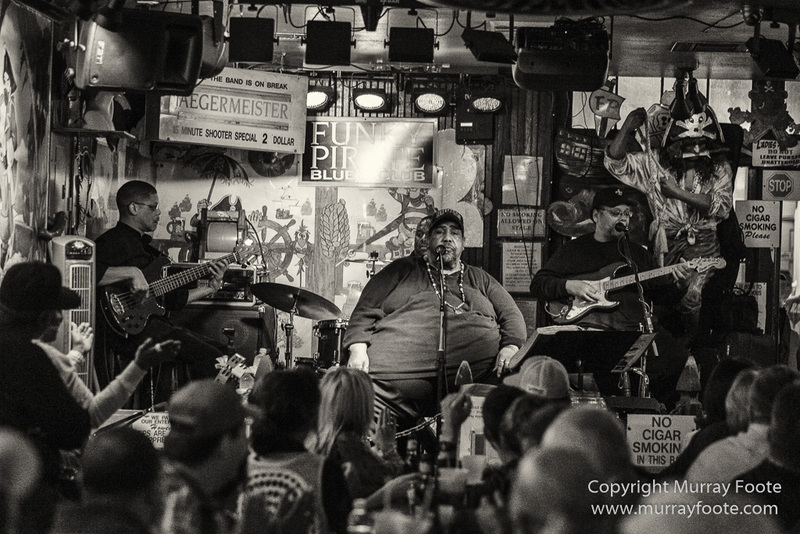 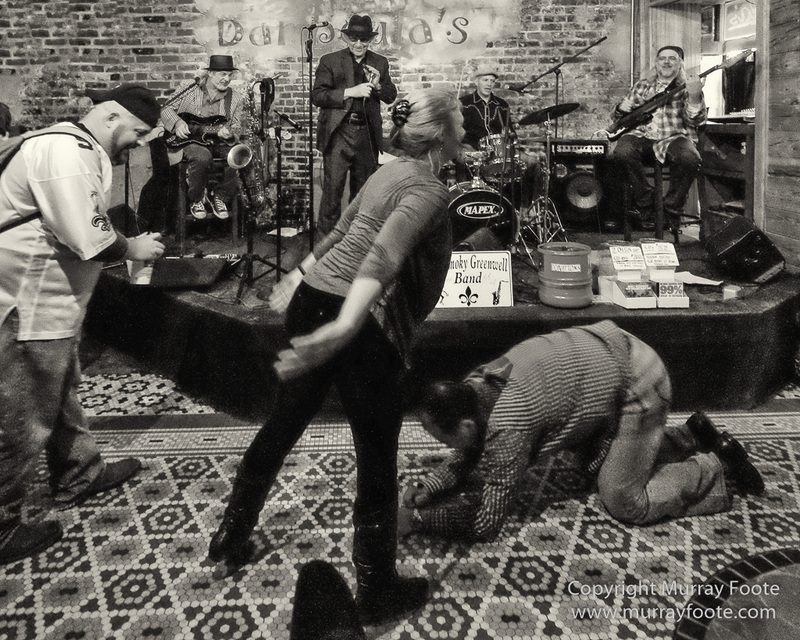 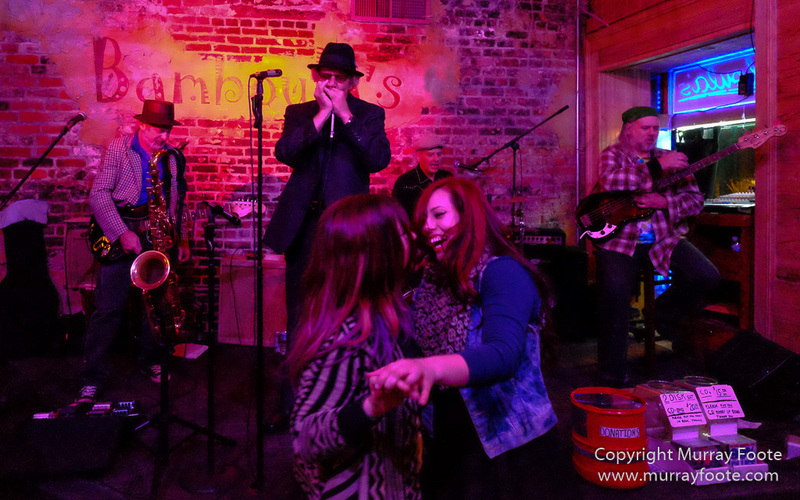 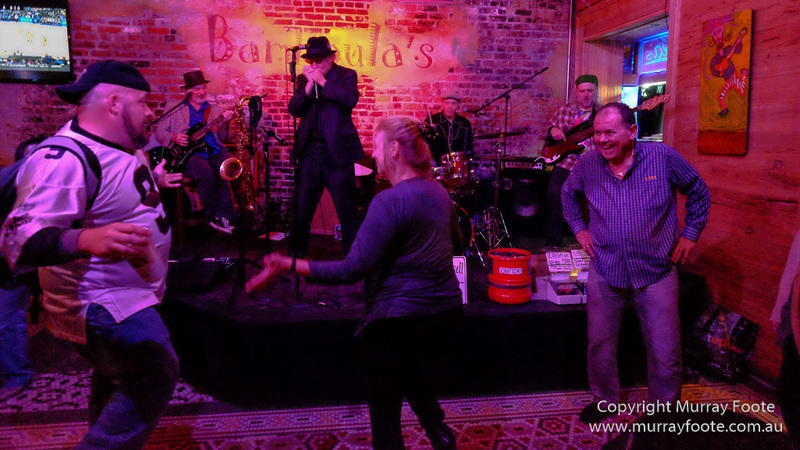 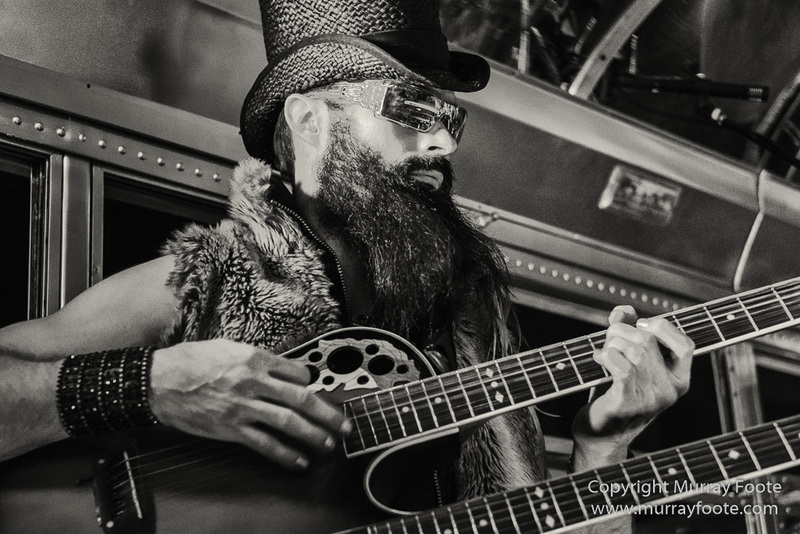 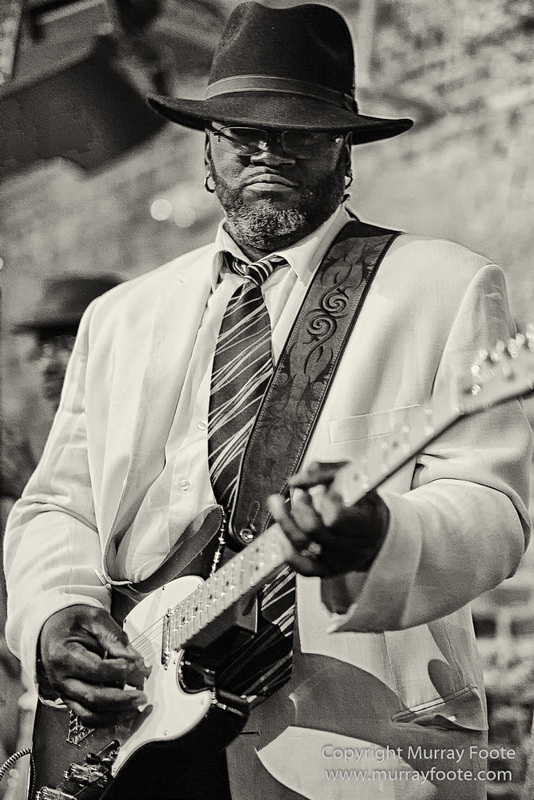 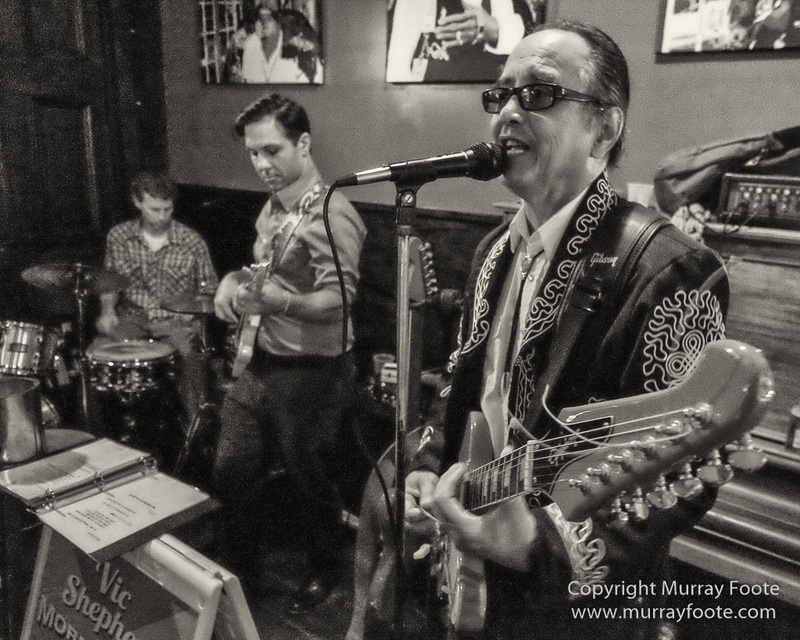 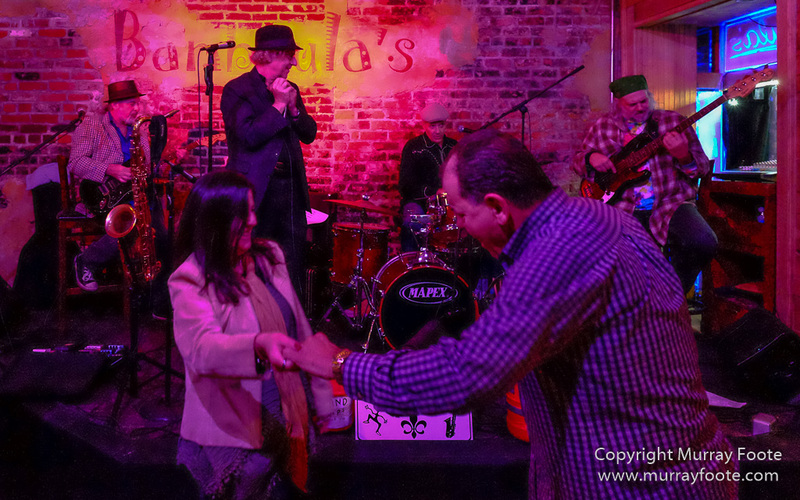 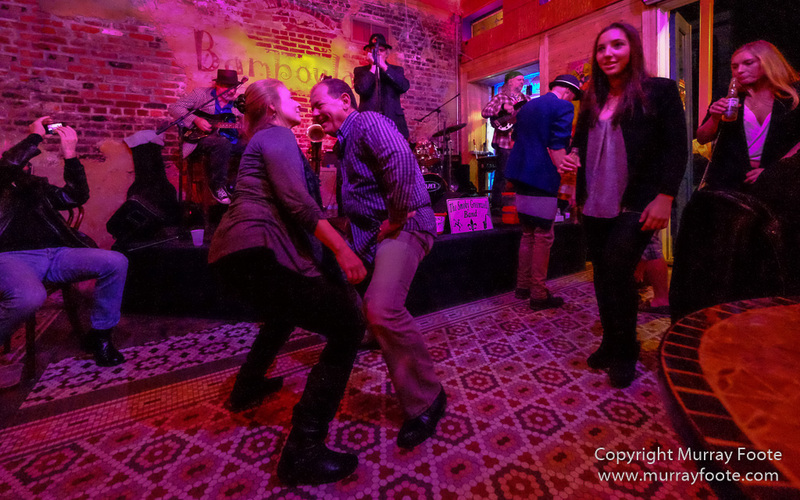 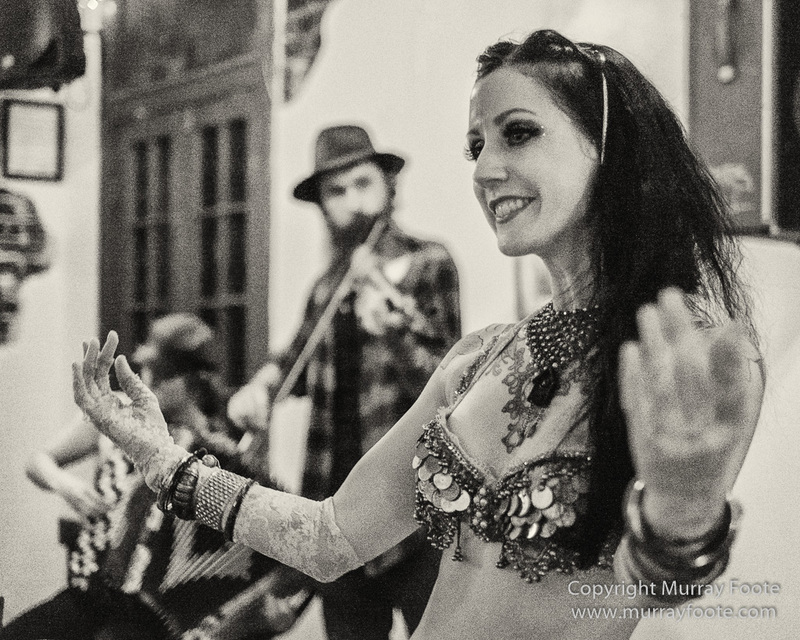 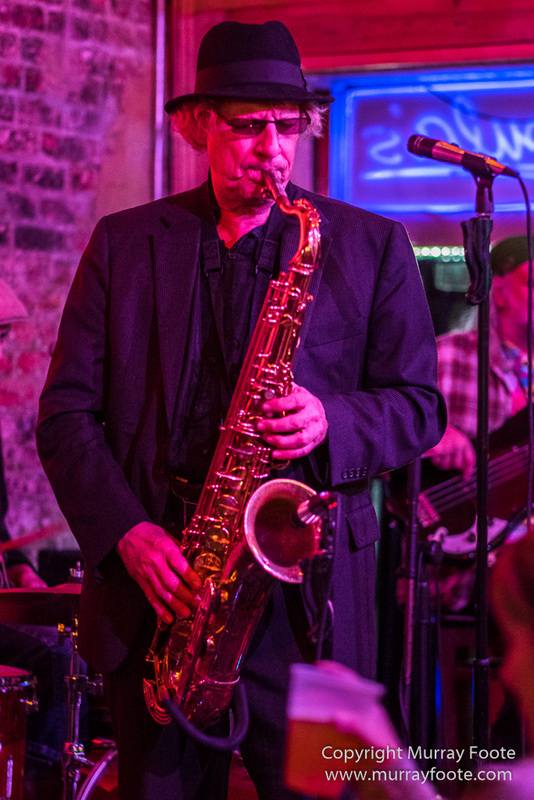 Funky Pirate Blues Club and Bamboula’s, New Orleans, USA, 7th to 8th November 2014. 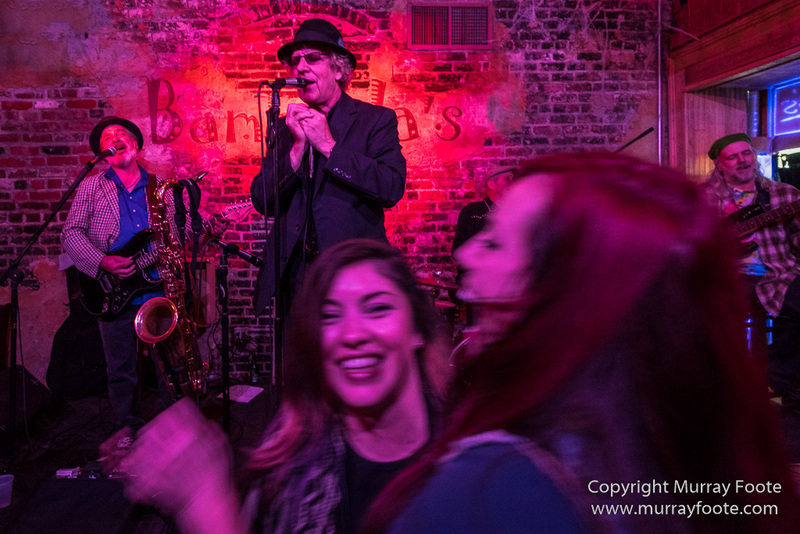 In the evening we headed off for the Funky Pirate Club in Bourbon Street where the Pentones were playing. 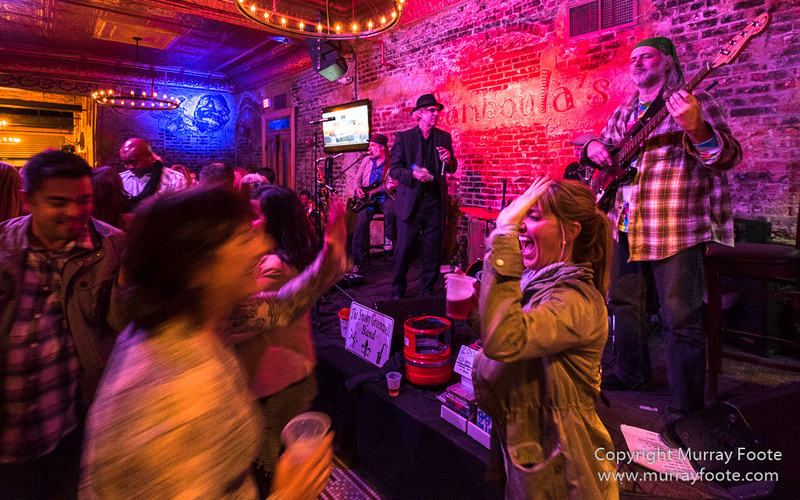 It was very crowded, so not many angles were available for photographs. 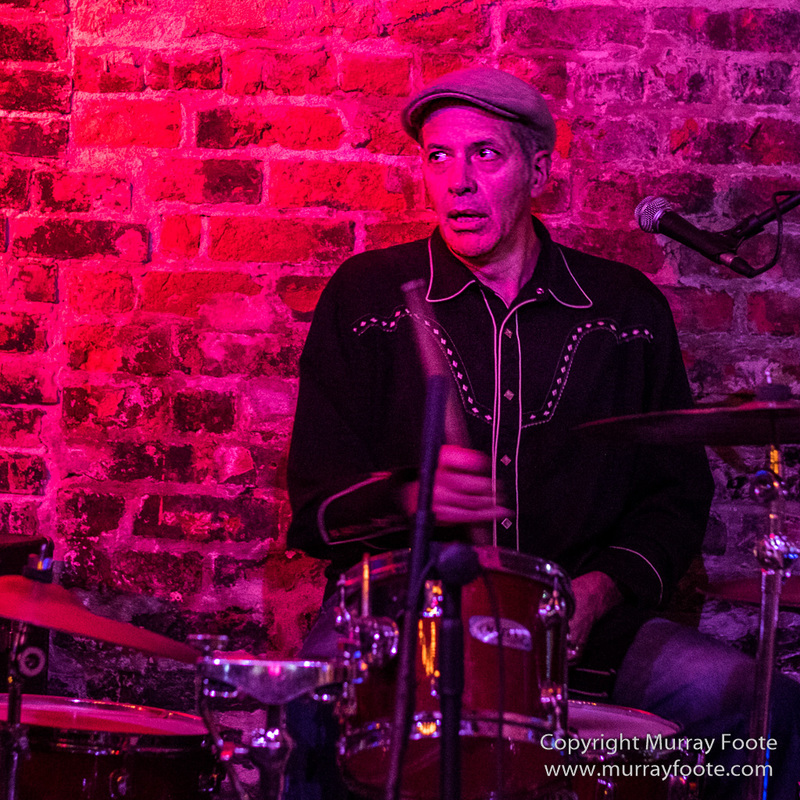 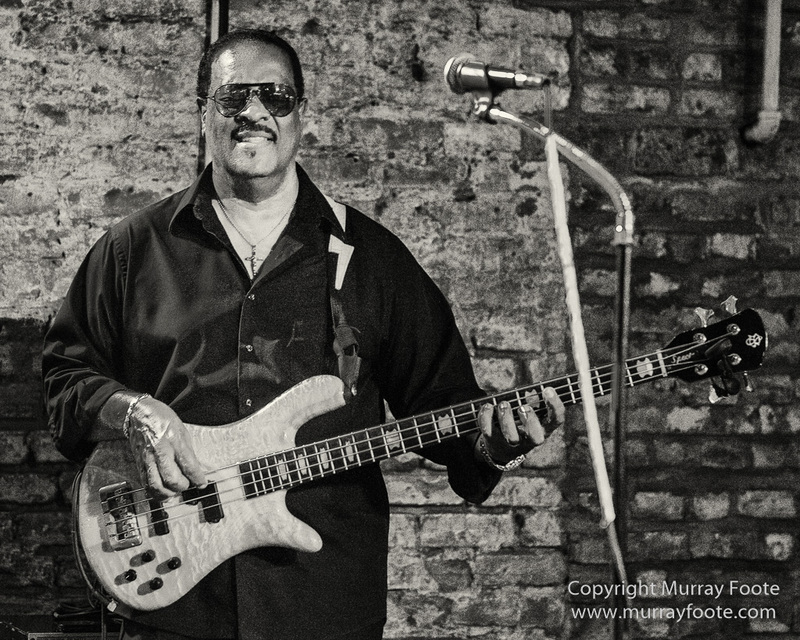 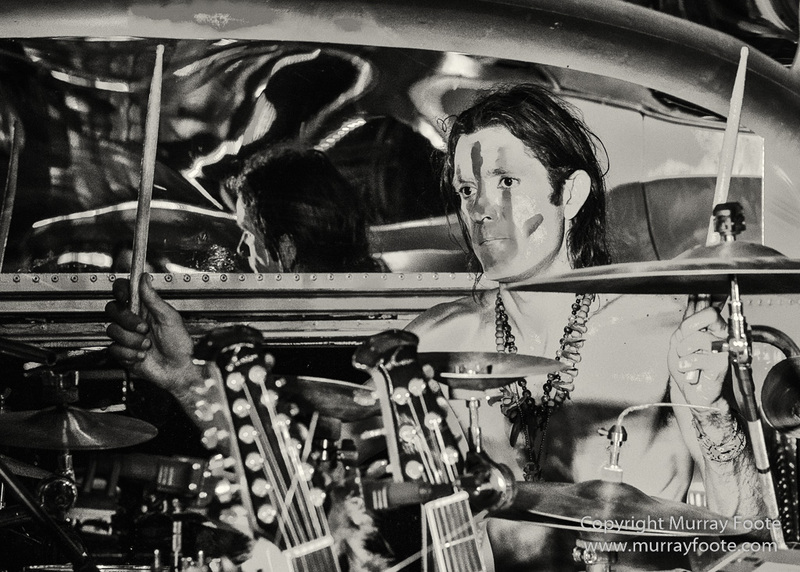 Thomas McDonald (bass), Eddie Christmas (drums), Mark Pentone (guitar). 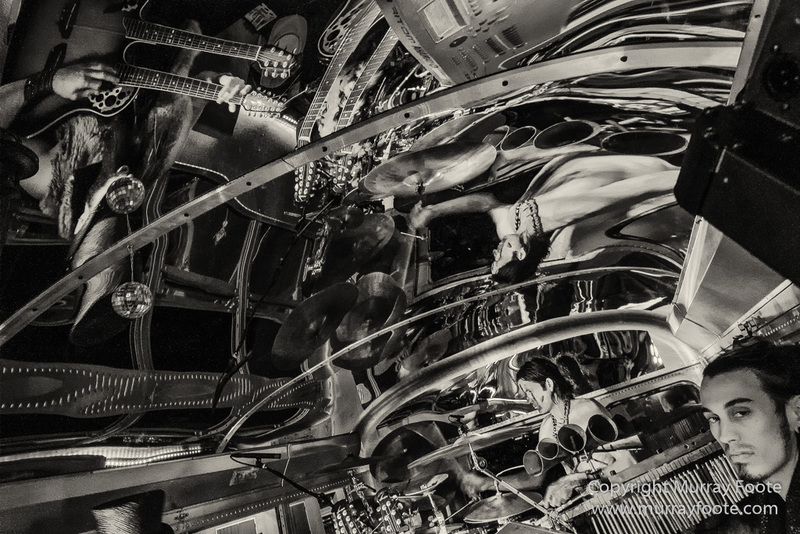 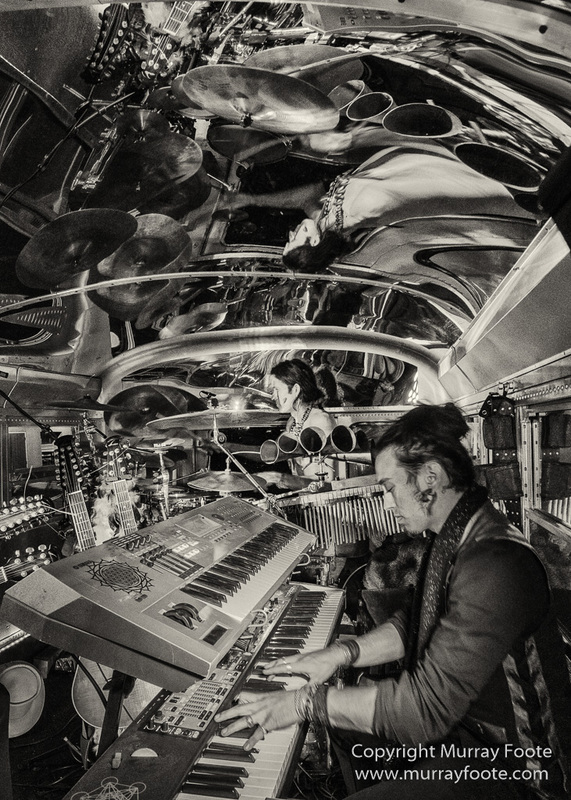 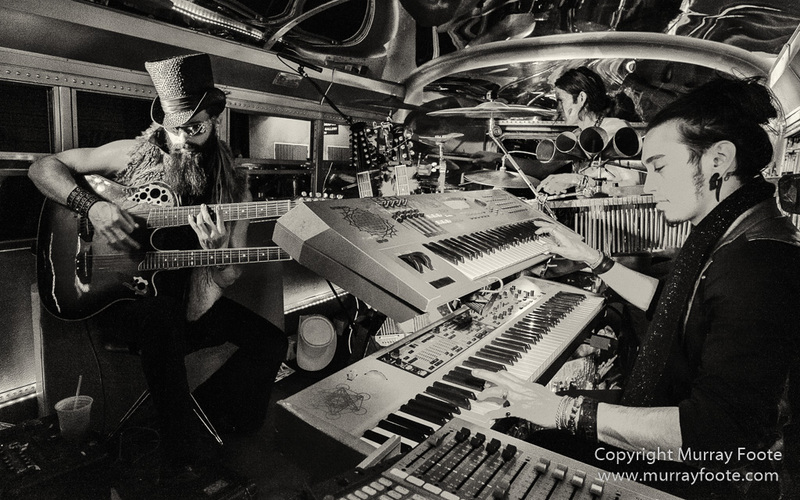 The Pentones play smooth and lively blues, rhythm & blues and funk. 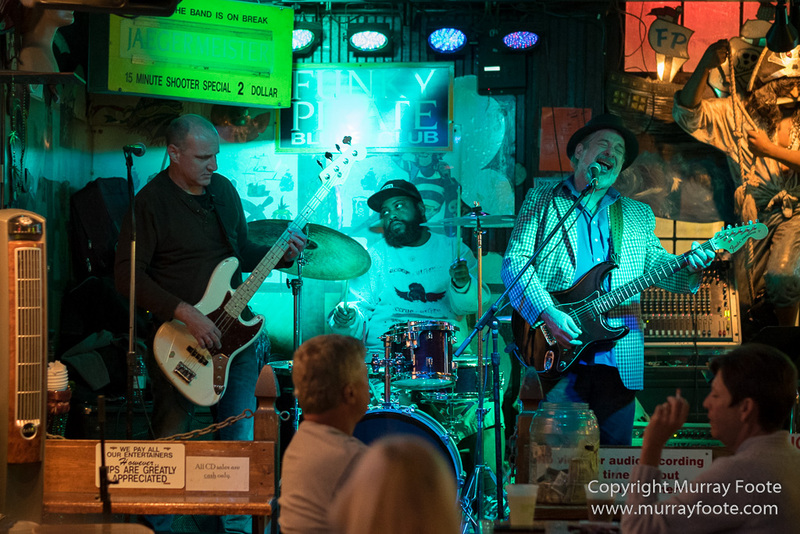 You can find out more about them on their website, or even purchase their new CD, or listen to some tracks on ReverbNation. 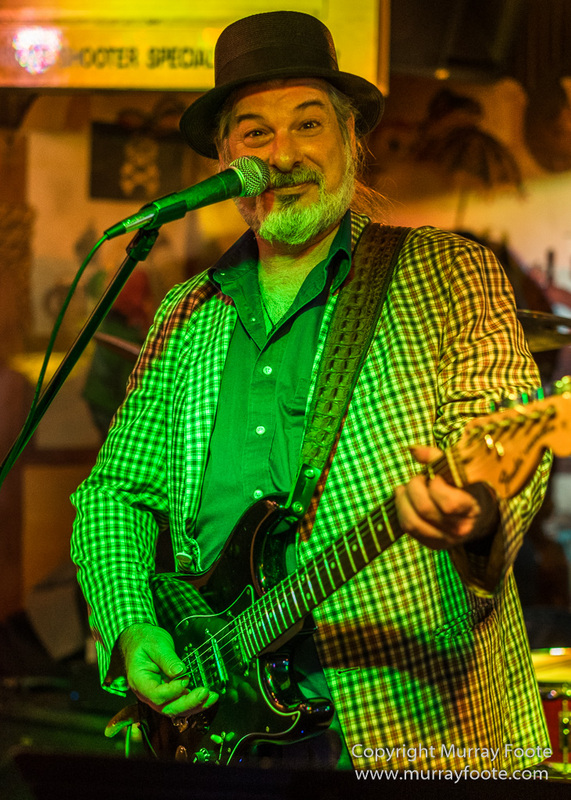 This is Mark Pentone. 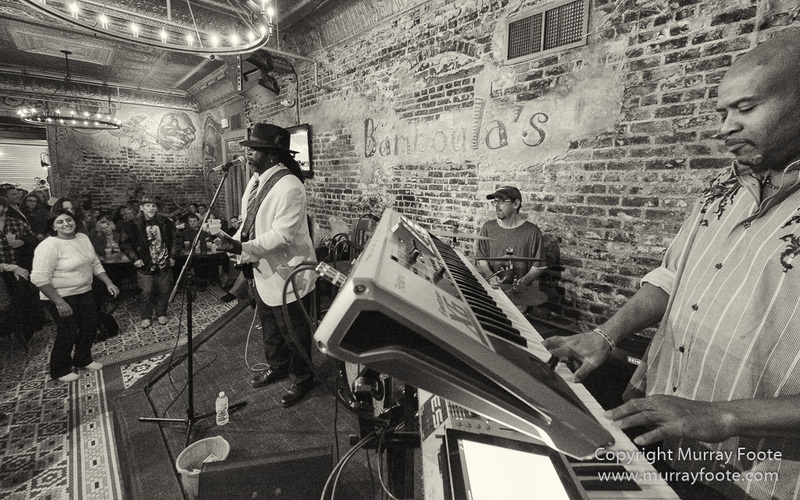 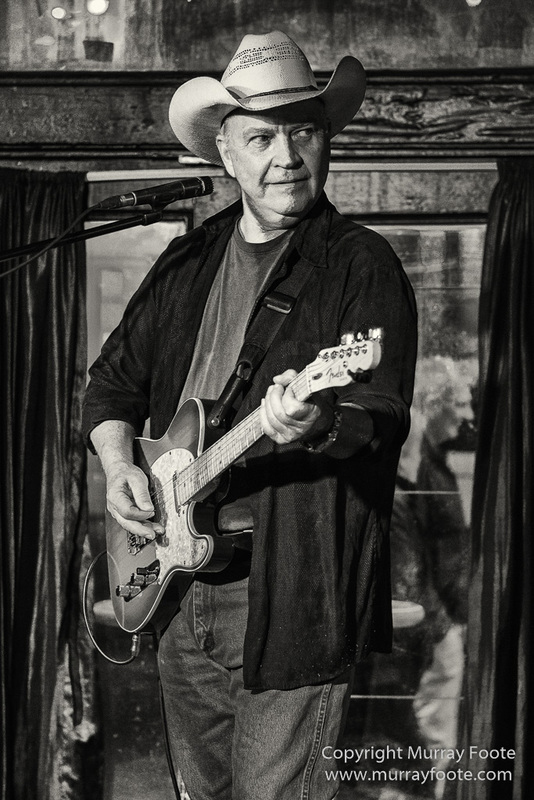 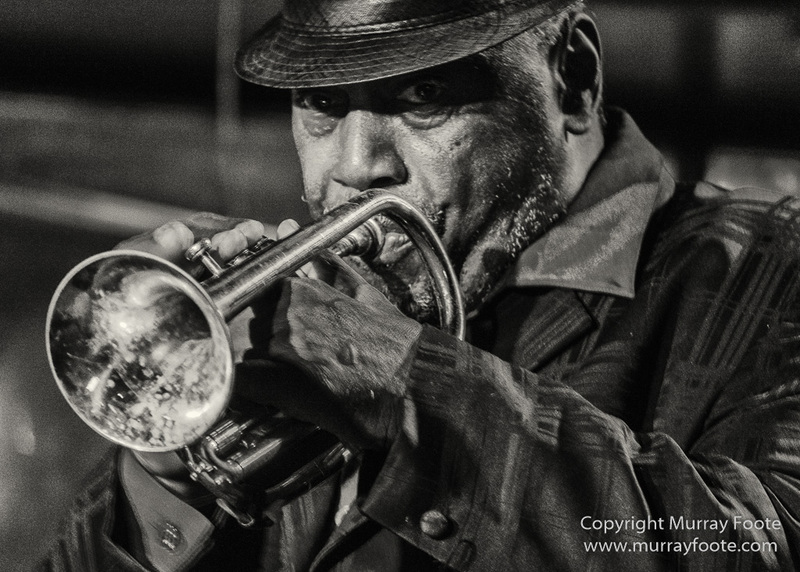 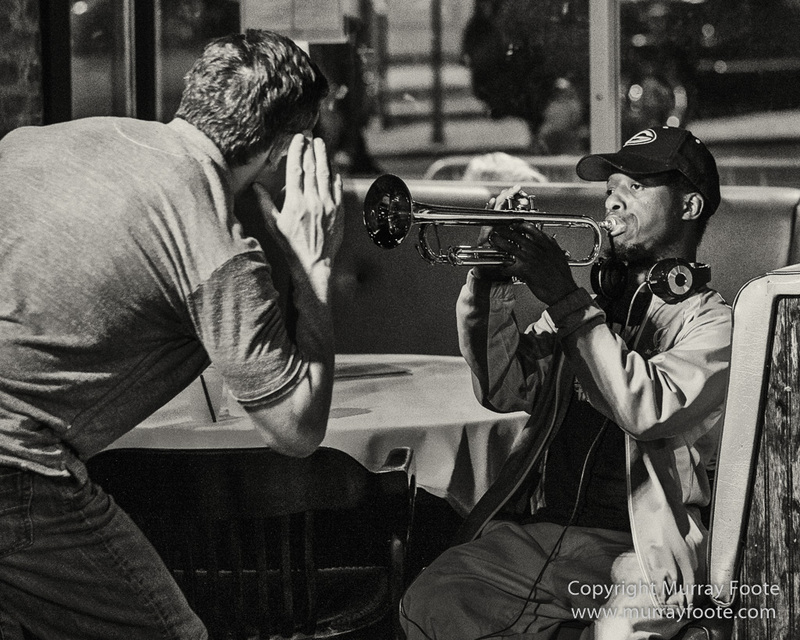 We only caught the end of the gig but I had a talk to him and he told me he was playing later on Frenchman Street with the Smoky Greenwell Band so we headed off for there. 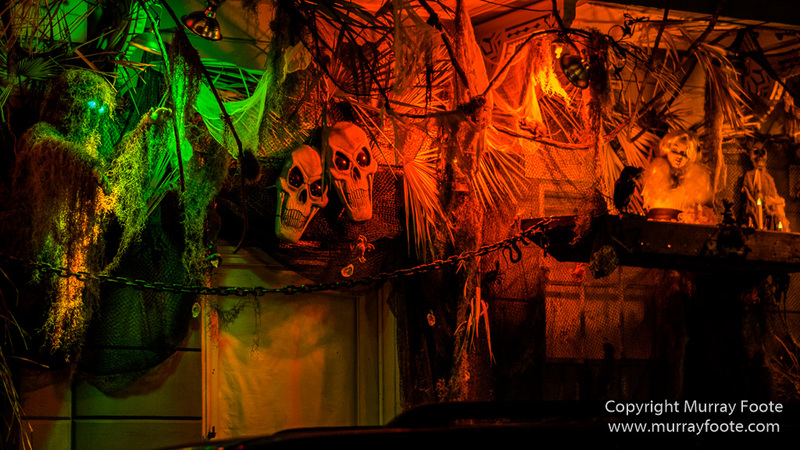 On the way, a view on Bourbon Street, left over from Halloween. 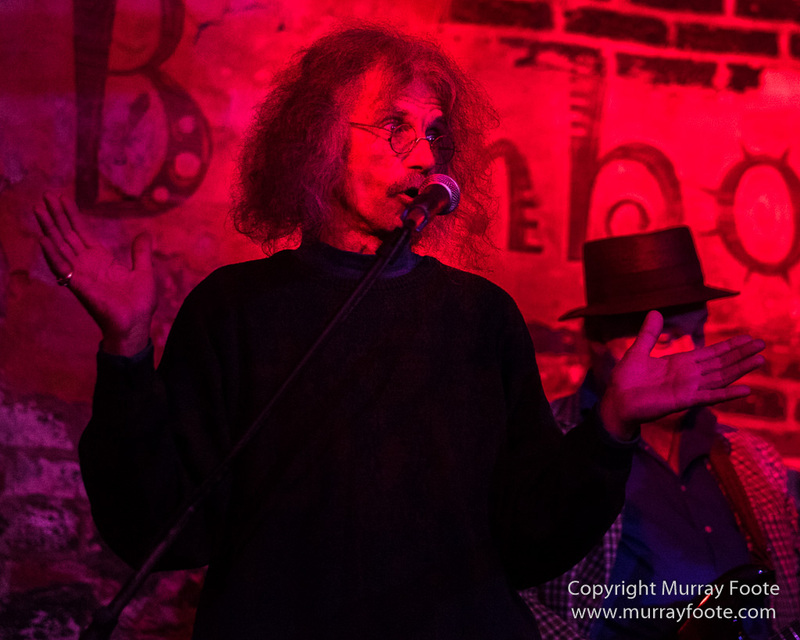 Brief performance by Vaughn Mordenti, whom I took to be a poet, which may well be the case, though is actually the owner of Bamboula’s. 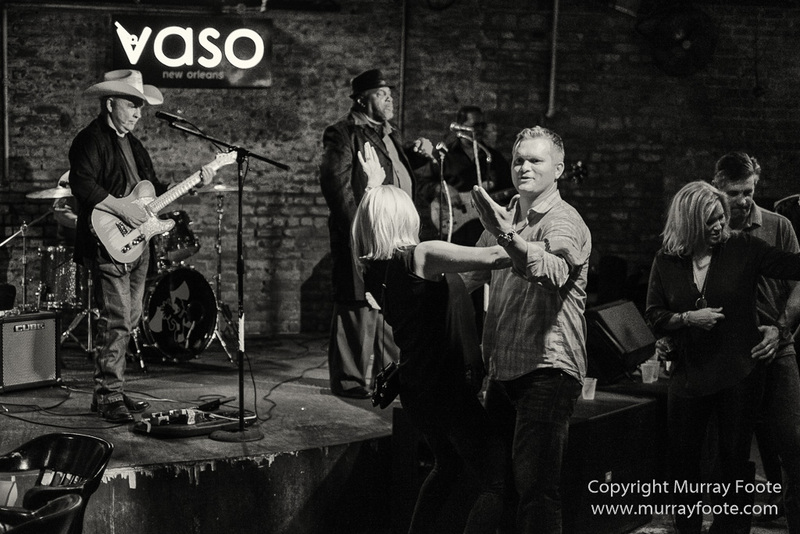 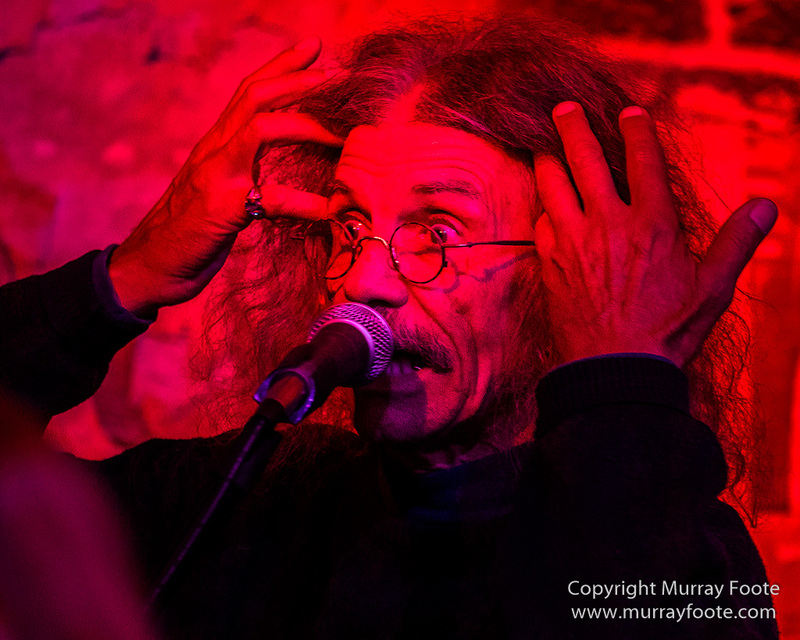 As you can see from the following images, it was a great night and the crowd were having fun. 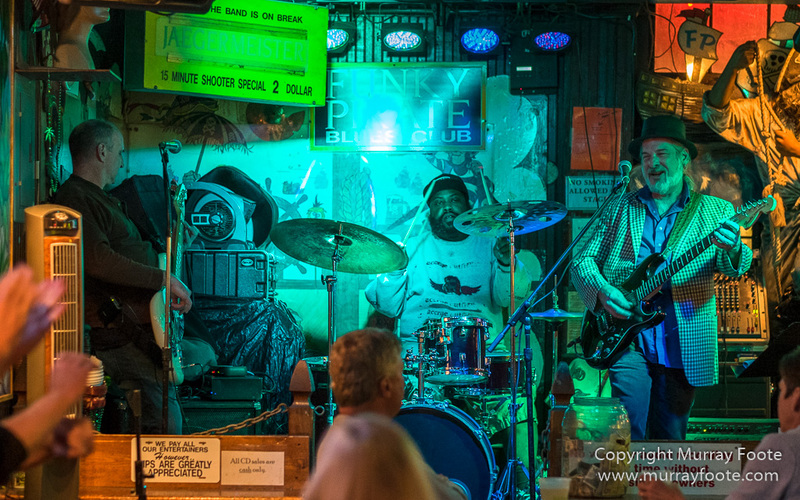 The band describes their genre on Facebook as Blues, Rock, Jazz & Funk. 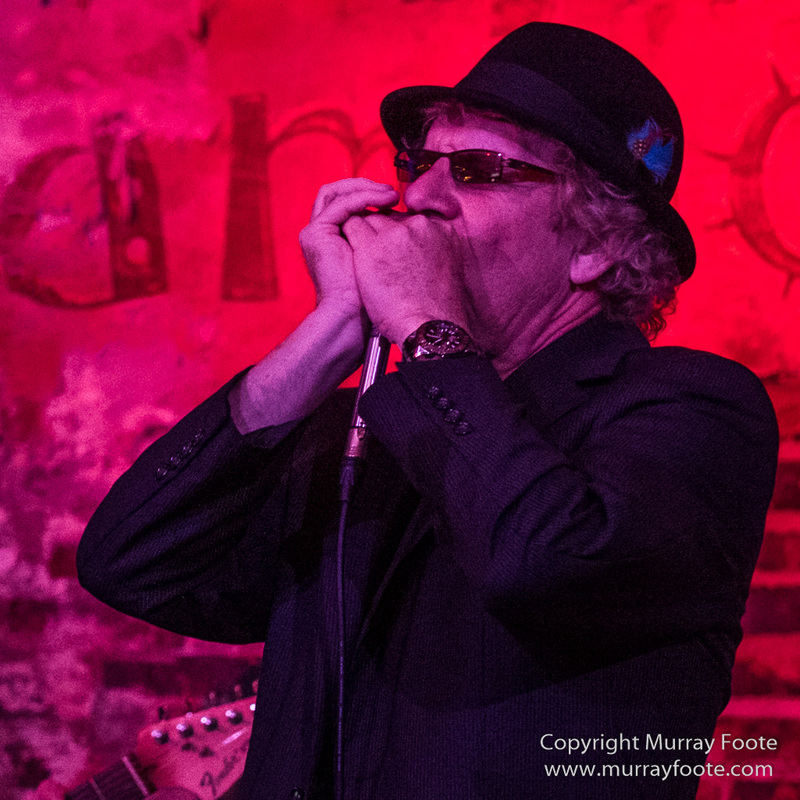 Mark Pentone on the left is standing in for regular guitarist Jack Kolb. 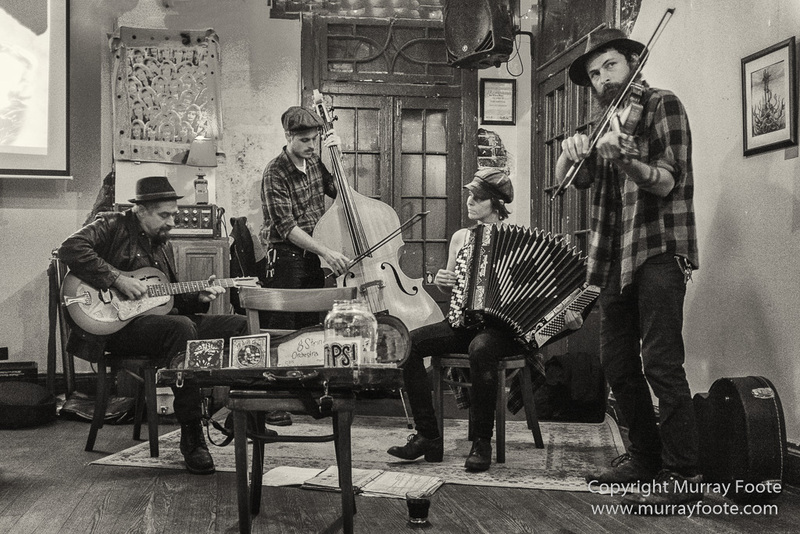 You can checkout their somewhat terse website or play this youtube video (with a larger chorus line than usual) or this one.